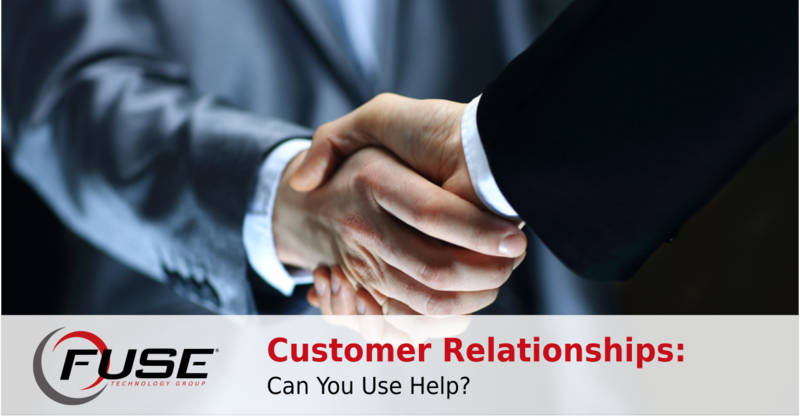 Fuse Technology Group | Can You Use Help with Your Customer Relationships? You can use a CRM to gauge the success of interactions with your clients, all while working toward developing a solid relationship with them to facilitate repeated purchases or transactions. If you collect data from your contacts, you could turn prospective clients into dedicated customers. A CRM can also help you keep internal tasks in check. Some examples are human resources, analytics processing, and workflow automation. CRMs are even beginning to move in the direction of artificial intelligence to better predict what consumers will desire in the near future. And, of course, as is the case with most services out there these days, you can either use a cloud-hosted or on-premise CRM solution–whichever your organization needs most.